If you encounter any issues not described here, please let me know. You can reach me by email at support at compositorapp dot com or via Twitter. 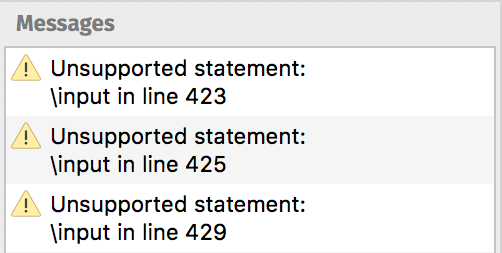 Alright, let’s see what error messages Compositor has to offer. Compositor is unable to locate a file. line into your LaTeX document. 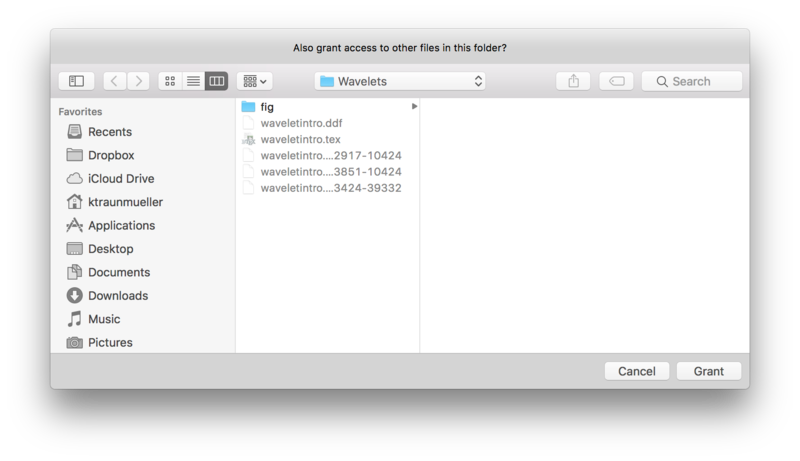 This so-called security-scoped bookmark persists your permission for access to the document folder, and the dialog will no longer pop up. TeX has a static memory layout – the different regions of TeX’s internal memory have a fixed size that is predetermined at compile time (when I build the app). If you see this alert, one of TeX’s internal memory regions is too small in its current configuration for the document at hand. There exists a corresponding ticket on the issue tracker, but I’m not sure if and when this shortcoming will be addressed. One of the memory limits of TeX is an input buffer size of 3000 characters. Please check if your document has lines exceeding 3000 characters in length. If that’s not the case, then there is no immediate workaround. I will need to investigate the problem and decide if I want to increase the size of the affected memory region in one of the next updates. It would be great if you could send me the document so that I can look into the issue. You are using an \input or \include statement in your LaTeX file. This is one of Compositor’s current limitations. Consolidate your multi-file document into a single file. Either manually, or use a script such as latexpand (available on CTAN or GitLab). A corresponding feature to automate this is planned for one of the upcoming releases. In the long run, I want to get rid of this limitation altogether. 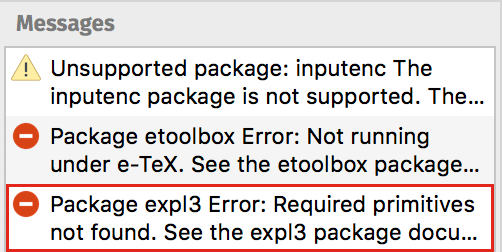 The inputenc package is not supported. This limitation is described in more detail here. There is no immediate workaround. This limitation will be fixed at some point. The Koma-Script document classes are not yet supported. Compositor does not yet support e-TeX, a set of extensions to the TeX3 engine. There is no immediate workaround. This limitation will be fixed in one of the next versions. Compositor does not yet support LaTeX 3.